In the 16th century, alchemy became a victim of its own success. The more it achieved, the more its reputation suffered. Cheating death. Curing every disease. Possessing unlimited amounts of gold. Such fantastic objectives were pursued all throughout medieval Europe by alchemists. They burned, melted, distilled, and vaporized any substance they could get their hands on. They tirelessly hunted for ancient codified scrolls in an attempt to unlock their hidden formulas. They drank, inhaled, and injected their mysterious concoctions. They suffered from lead and mercury poisoning. Their hands trembled as they picked up their flasks, their minds forgetful, anxious, and paranoid. Rather than the key to eternal life, they mostly found early graves. 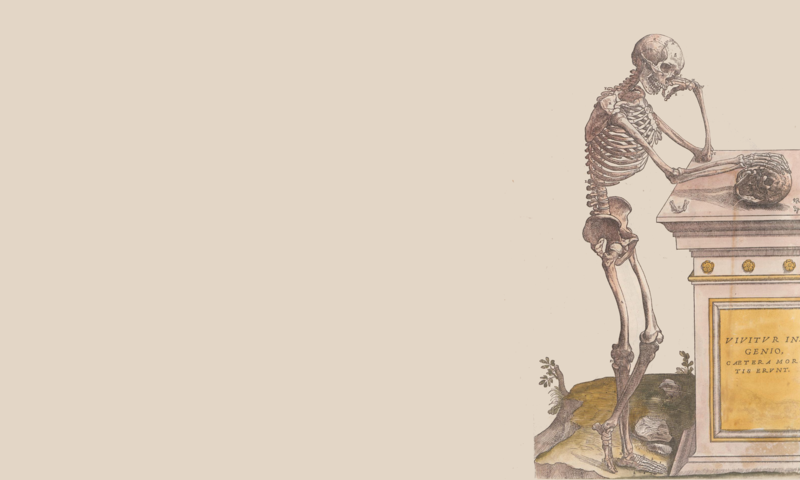 In the Scientific Revolution, this superstitious alchemy died out. Modern, rational chemistry was born. Or so the story goes. In reality, there was a very thin line between the art of alchemy and the science of chemistry. Hello and welcome to A History of Science: Episode 5: The Philosopher’s Study. That pleasing novelty is the most direct reward for experimentation. That shiver up your spine as you peek through the microscope, or pour a few drops from a pipette into a test tube, is one of the cornerstones of science. It satisfies human curiosity, long before practical applications of discoveries, and any riches that may come with them, present themselves. The joy of discovery was an essential ingredient of the Scientific Revolution. And as we have seen in our episode on Columbus’ voyage to America, discovery, strangely enough, had to be discovered itself. In the quote above, some fifty years after Columbus set foot on the new continent, our Italian mining engineer lovingly applies this new concept to alchemy. In his days, alchemy was the closest anyone could get to discovering new things and unraveling the threads of Creation. As such, alchemy sounds like a looming precursor to the Scientific Revolution, a promising token of what was to come. That’s not how we remember alchemy, though, is it? In our collective memory it is much closer to the image I sketched in the introduction: crazy sorcerers working in damp basements pursuing their fever dreams of eternal life or unlimited gold. In this episode we will follow the transformation of medieval alchemy into a modern science. And especially, we’ll explore when, how, and why its reputation was utterly destroyed in the process. What exactly alchemy was, is difficult to pinpoint. It was as much a craft as it was an art; as much esoteric mysticism as proto-science; and as much learning by doing as passing on ancient knowledge. People from any walk of life could find themselves in the elusive profession of alchemy: physicians and apothecaries, blacksmiths and masons, painters and sculptors, and peasants and noblemen alike. Among them are many familiar names, often of people you would not expect to see in relation to alchemy. Leonardo da Vinci, who, among his many other occupancies, dabbled in alchemy, left countless notes describing alchemical procedures he had used in his art. Among these is a recipe for making mixed gold alloys look purer than they really are, an invaluable procedure for a Renaissance artist. Even Isaac Newton, arguably the hero of the Scientific Revolution, spent decades searching for alchemical texts, in a spurious effort to reorganize ancient alchemical wisdom into a coherent collection; not a story often recounted about the posterboy of modern physics. But alchemical craft was a highly sought-after commodity in medieval and early modern Europe. Most alchemists applied their work to solve everyday problems; they extracted medicines from natural ingredients, created copper alloys to create stronger metals, or developed durable paints with brighter colors. Alchemists were commonly employed by kings and noblemen. Much like astronomers who predicted their patrons’ futures in return for a free hand at their research, alchemists forged weapons or applied mercurial medicine next to their intellectual pursuits. And it is in these intellectual pursuits that alchemy first crosses the line into esoteric mysticism. The wildly ambitious objectives of alchemy – all-curing potions, turning base metal into gold – are often used as examples for medieval backwardness, and for the exclusion of alchemy in the realm of the real early sciences. But was alchemy really that irrational? Was there no method to the magic? And are its theories not equally obsolete as those of pre-Copernican astronomy or humoral medicine? Let’s take a closer look at two of the most mysterious objectives: the elixir of life, and the Philosopher’s Stone. The elixir of life, also known as aqua vitae, or life water, was believed to be a super-medicine that could purify impure bodies, thus curing disease and prolonging life. This elixir could be accessed by purifying natural ingredients, usually through distillation; the closer a natural ingredient could be amended to approach its divine perfection, the stronger its qualities would be. It was a theory similar to the one used when distilling alcohol; distillation of wine, for example, yields hard liquor, which is both purer in alcohol and stronger to the taste. Distilling any medicine, then, should create a purer form that worked better. As nonsensical as searching for this super-medicine may sound to us, the methods alchemists employed do share similarities with those of modern chemistry. The process of purifying natural ingredients to find their essence – or, as we would say, elements, is still the defining characteristic of modern chemistry. Early nineteenth-century medicines were relatively simple compounds of recently discovered elements; exactly what fifteenth-century alchemists were trying to achieve with their elixirs of life. So, modern chemistry and medieval alchemy share the assumption that nature can be reduced to its original building blocks. The name alchemists gave to this evasive perfectly pure ingredient to natural compounds was the quintessence, or fifth essence. Why the fifth? Because it followed after the four basic elements of antiquity that somehow seem to pop up in virtually every episode of this series: earth, water, air, and fire. As we have talked about time and again, ancient and medieval philosophers held that everything – people, trees, rocks, oceans – was made out of these four elements. And alchemists, being the practical artisans that they were, went the extra mile. They reasoned that if nature could be distilled into its original components, these pure building blocks could be recombined to form natural compounds. Any natural compounds. This is the central idea that fueled alchemists’ fever dreams of finding the Philosopher’s Stone. If earth and water could be mixed to create mud, couldn’t other natural substances be created by combining their quintessential elements? How about metals? Silver? Gold? There should be a formula out there that allowed alchemists to transmute quintessential natural elements into pure gold. So where did alchemy fit in medieval Europe? Everywhere and nowhere at the same time; it was part practical craft, part theoretical philosophy, part magical make-believe, and it could be practiced by anyone. And while it was a mostly respectable trade, it was solidly kept out of universities. Alchemy’s rise into academia would start with a man, who ironically, did much to destroy its reputation in the process. Philippus Aureolus Theophrastus Bombastus von Hohenheim is better known under his professional moniker, Paracelsus. Bombastus does serve him better, though. By all accounts Paracelsus was an arrogant, impossible man. Born in Switzerland in 1493, he traveled all over Europe, working as a physician, astrologer, and alchemist, among other professions. His unorthodox ideas and difficult persona meant he never stayed in one place long. Paracelsus had grand ideas on many subjects, including alchemy. And, true to his nature, he rejected everything that was conventionally held about them. In his works on alchemy, he discarded the four classical elements that had dominated natural philosophy since antiquity, and came up with three new ones instead: the tria prima, or three principles, of sulphur, salt, and mercury. Sulphur represented combustible ingredients, salt unburnable ones, and mercury metallic elements. He applied this idea not only to alchemy, but to medicine as well. In a single stroke he rejected Hippocrates’ humoral theory, and claimed that all bodily organs possessed a kind of inner alchemist, which he called the archeus. If someone fell ill because his or her archeus malfunctioned, a physician had to take this job of physical alchemist upon him and purify the body by administering medicine. Fascinating ideas, but they did not win him many friends. Living in the same time as Martin Luther, unorthodoxy in sixteenth-century Europe was less than welcome. And even though the unorthodoxy of Paracelsus was not religious, he wasn’t any less passionate about it. Allegedly, he burned copies of Galen’s works on the town square in Basel, an act considered nothing less than heretical in medical circles at the time. He criticized local physicians and apothecaries wherever he went, outing them as quacks who made their patients sicker rather than better. His egalitarianism came through in his disregard for titles – and subsequent disrespect for anyone holding a title – and in his inviting in of common people to his courses; he lectured to barber surgeons and midwives in German, rather than to physicians and apothecaries in Latin. In dealing with his academic peers, he did not hold back either. In true Paracelsian form, he denounced university professors as behaving as though ‘they were the ones upon whom all belief depends, as if heaven and earth would fall apart without them.’ Paracelsus was a strong proponent of experience over authority, practically ridiculing anyone who held on to unproven theories of ancient writers. Passing down ancient knowledge, with no regard for reality, was no method to understanding Creation. True knowledge of nature, Paracelsus believed, lay in combining philosophy and alchemy; in theorizing about nature through observations and experience. Up to this point you may be forgiven for thinking that Paracelsus was utterly modern, a true scientific thinker before his time. Someone who definitely deserves a place in the pantheon of early thinkers of the Scientific Revolution. He was, after all, an advocate for experimentation. He lectured to laymen in the vernacular. He believed the key to knowledge to lie in nature rather than books. But that is only half the story; let’s dive beneath the surface. When Paracelsus spoke of learning through experiments, he didn’t mean it in the way modern scientists do. Most of his writing is ingrained with magical associations. He often spoke of his proposed theories in abstract, allegorical sense, not as reusable concepts. His tria prima of salt, sulphur, and mercury were as much symbolic categories as they were principal elements of matter. His organic archeus was a metaphor for how he believed the human body to work, rather than an accurate description of his observations. And rather than believing the quintessence of elements to be similar to the alcohol in wine, Paracelsus believed it to be an elusive spiritual energy that could be unlocked through transmutation. In his medical practice, he believed his patients should seek medical redemption; the spiritual vitality of their inner alchemists should be restored, so they could restart performing their function of alchemical purification. That sounds a lot like Paracelsus found the recipe to magical mushrooms rather than gold, doesn’t it? From an academic point of view, he certainly did not adhere to an early modern mechanical philosophy. Paracelsus believed the alchemist to be a vital component of the process itself. Knowledge of Creation was attained through an evasive mix of perspiration and divine inspiration. Even though he held that the world was made up of smaller particles, he did by no means believe that these were simply physical building blocks. He never implied that anyone following an alchemical recipe could turn base metal into gold. In spite of his alternative ideas, or perhaps because of them, Paracelsus acquired a modest following. For the next century, Paracelsian alchemy and medicine would be considered interesting albeit unorthodox perspectives. By the end of the century, however, calling any practitioner Paracelsian would be an insult. One of the men who was keen on using his name in vain was Andreas Libavius, a German physician born ten years after Paracelsus died. He was as far removed from the innovative Paracelsus as any alchemist could be. Libavius was fiercely traditional in all his convictions. He followed Aristotelian natural philosophy and humoral medical theory, and rejected virtually all of Paracelsus’ new insights. He criticized Paracelsus’ disrespect for ancient writers, and thought he overstated the importance of natural experimentation. Yet he also rejected Paracelsus’ less rational convictions: his invoking of magic at every step, and his over-reliance on the alchemist’s personal experience. I think it is safe to assume Libavius really did not like Paracelsian alchemists. He did have a point there, though. The importance Paracelsus had placed on personal experience, divine inspiration, and magical formulas made alchemy more elusive than it had ever been. Among his followers were countless showmen who dazzled their audiences with chemical tricks. Snake oil salesmen sold elixirs of life with exotic quintessences that would cure any disease. Paracelsus had inadvertently opened the door of alchemy to any shrewd businessman styling himself as a wizard. Libavius, instead, was a traditional, scholarly alchemist. He hated seeing his craft being diluted by frauds and imposters. He wanted to see alchemy in universities rather than market places. And for that to become reality, he had to remove it as far as he could from Paracelsian wizardry. And he had to act quickly, for, against all odds, Paracelsian alchemy was gaining a foothold in academia. In 1609, Paracelsian alchemist Johannes Hartmann became professor of chymiatry in the German town of Marburg. His preserved lecture notes reveal a lot about what he intended to teach his students; half of the course material deals with magical relationships in nature, and with vague antipathies and sympathies in medicine. Only interspersed with these quasi-theoretical notions are actual recipes for conducting alchemical procedures. His code of conduct, in sharp contrast, leaves nothing to the imagination: students were required to swear an oath of obedience, loyalty, diligence, discretion, and gratitude to him personally. He also made clear that nothing of what they saw, heard, or experienced in his courses should ever be made public. Professor Brendel certainly felt like following in the footsteps of the man who drew astronomy into the realm of science. During the remainder of the seventeenth century, alchemy would increasingly be taken seriously in academic circles, and accepted as a subject worthy of study in its own right. All throughout Europe famous scholars took up the subject from within the confines of academia: Robert Boyle in England, Antoine Lavoisier in France, Herman Boerhaave in the Netherlands. They no longer called it alchemy, though. As part of the demystification process, it had been rebranded as chemistry. So there we have it; the story of how the respectable art of alchemy fell into disrepute and was adopted into academia under the moniker chemistry. A rather arbitrary name change, and one that doesn’t do justice to the knowledge and discoveries that alchemy produced. An unprecedented name change, too. Astronomy was called astronomy when scholars believed the world to be the center of the universe; medicine was called medicine when physicians tried to cure patients by bleeding them dry. Alchemy, as we have seen, was certainly not beyond redemption. None of the people we discussed in this episode held scientific views that still hold up today, but all of them advanced knowledge from their own perspectives. Regardless of his magical views, Paracelsus stressed the importance of experimentation that would be essential to the Scientific Revolution. Andreas Libavius, while being an advocate for authority over experience, did emphasize the importance of sharing knowledge. Alchemists really do deserve that place in the pantheon of science. The artificial dichotomy between alchemy and chemistry is perhaps best exemplified by the question of who the first chemist was. Amazingly all people we have talked about on this episode have been called the first chemist at one point or another. Paracelsus is called the father of toxicology, because of his correct realization that all substances are poisonous in the right dosage. Libavius wrote a voluminous work that is considered by some to be the first textbook on chemistry. Even Antoine Lavoisier, who lived two centuries later, at the time of the French Revolution, is regularly branded the father of modern chemistry. The answer to the question is, of course, irrelevant. For centuries, countless scholars contributed to the field we now call chemistry. Whoever the first chemist was, is of no concern. But we do know that whoever he was, he was certainly an alchemist. If you enjoyed this episode and want to know more about the complex relationship between chemistry and alchemy, I warmly recommend Bruce T. Moran’s Distilling Knowledge. A link to his book, which served as the main source for this episode, is on the website, ahistoryof.science.